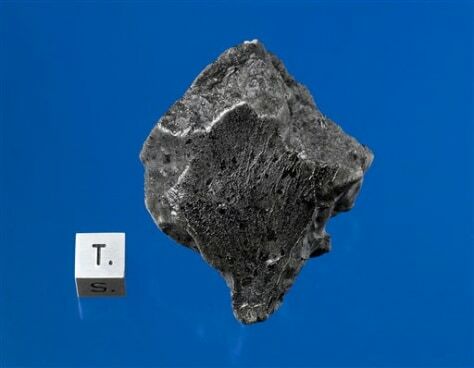 This photo from the Darryl Pitt of the Macovich Collection shows an external view of a Martian meteorite recovered in December 2011 near Foumzgit, Morocco, after a meteorite shower believed to have occurred in July 2011. This is only the fifth time experts have chemically confirmed fresh Martian rocks fell to Earth. The last time was in 1962.